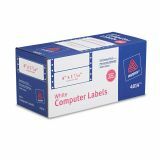 Continuous form labels for large volume uses. 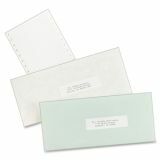 Bright white labels for sharper print quality are perfect for creating labels for addressing, shipping and organizing. Note: A minimum quantity of 6 must be ordered, and in units of 3 thereafter. 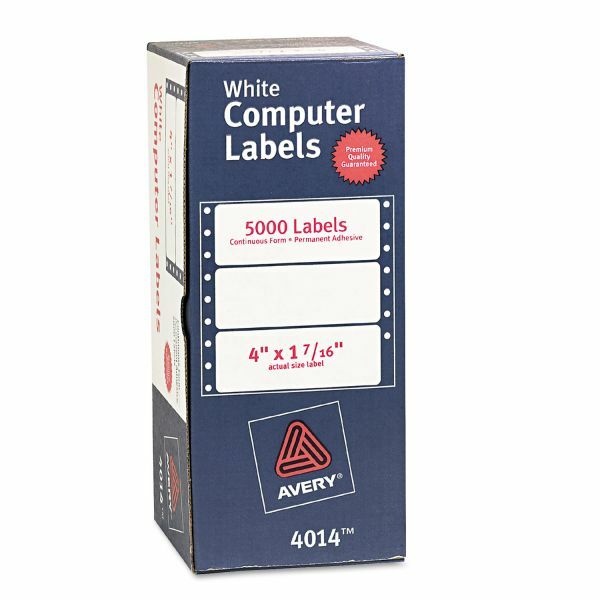 Avery Dot Matrix Mailing Labels, 1 Across, 1 7/16 x 4, White, 5000/Box - Continuous-form computer labels make high-volume mailings quick and easy. After loading the labels into a pin-fed printer, simply begin the print job, and you're done. Sheets continuously feed in and come out with no reloading or additional printing. 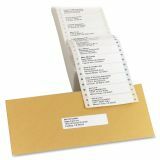 Before you know it, you'll have a pile of professional-looking labels that stick permanently. 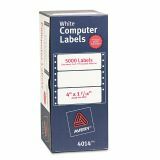 Computer labels are single width (one label across), fanfolded, and offer permanent adhesive. Labels are easy to format with preset layouts in popular software programs.